Most of us have heard the story of the "Old Violin" and what the touch of the Master's hand can do. I find this story similar yet from a different perspective. 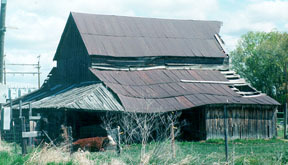 As the story of the "Dirty Dishes" tells of God's blessing, so the "Weathered Old Barn" tells of a life of beauty in service of the Lord. I hope you enjoy it, but more than enjoyment may you feel, as I did a sense of encouragement. We may be worn, tired and to some point feel past our usefulness. But never forget the finest gold and the purist silver is achieved only by the trail of fire. Sometimes only age, storms, heat and cold could bring out the true beauty of God's Grace in our life. What men may despise and discard - God's has chosen and called!! AMEN! A stranger came by the other day with an offer that set me to thinking. 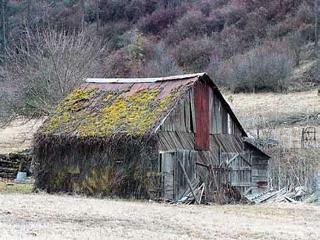 He wanted to buy the old barn that sits out by the highway. I told him right off he was crazy. He was a city type, you could tell by his clothes, his car, his hands, and the way he talked. He said he was driving by and saw that beautiful barn sitting out in the tall grass and wanted to know if it was for sale. I told him he had a funny idea ofbeauty. Sure, it was a handsome building in its day. But then, there's been a lot of winters pass with their snow and ice and howling wind. 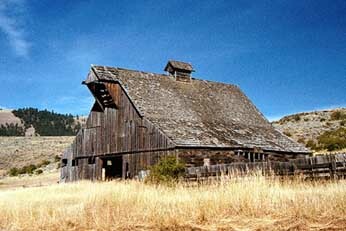 The summer sun's beat down on that old barn till all the paint's gone, and the wood has turned silver gray. 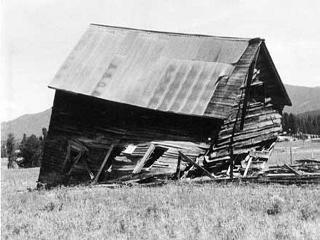 Now the old building leans a good deal, looking kind of tired. Yet, that fellow called it beautiful. That set me to thinking. 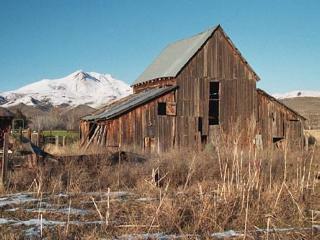 I walked out to the field and just stood there, gazing at that old barn. The stranger said he planned to use the lumber to line the walls of his den in a new country home he's building down the road. He said you couldn't get paint that beautiful. Only years of standing in the weather, bearing the storms and scorching sun, only that can produce beautiful barn wood. It came to me then. We're a lot like that, you and I. 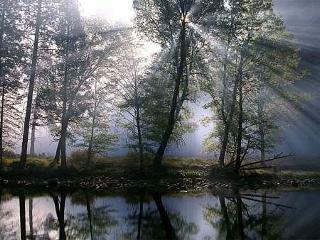 Only it's on the inside that the beauty grows with us. Sure we turn silver gray too... and lean a bit more than we did when we were young and full of sap. But the Good Lord knows what He's doing. And as the years pass He's busy using the hard wealth of our lives, the dry spells and the stormy seasons, to do a job of beautifying our souls that nothing else can produce. And to think how often folks holler because they want life easy! 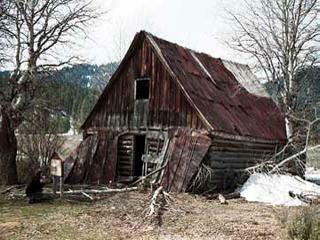 They took the old barn down today and hauled it away to beautify a rich man's house. And I reckon someday you and I'll be hauled off to Heaven to take on whatever chores the Good Lord has for us on the Great Sky Ranch. And I suspect we'll be more beautiful then for the seasons we've been through here... and just maybe even add a bit of beauty to our Father's house. I believe that friends are like quiet angels who lift us to our feet when our wings have trouble remembering how to fly.